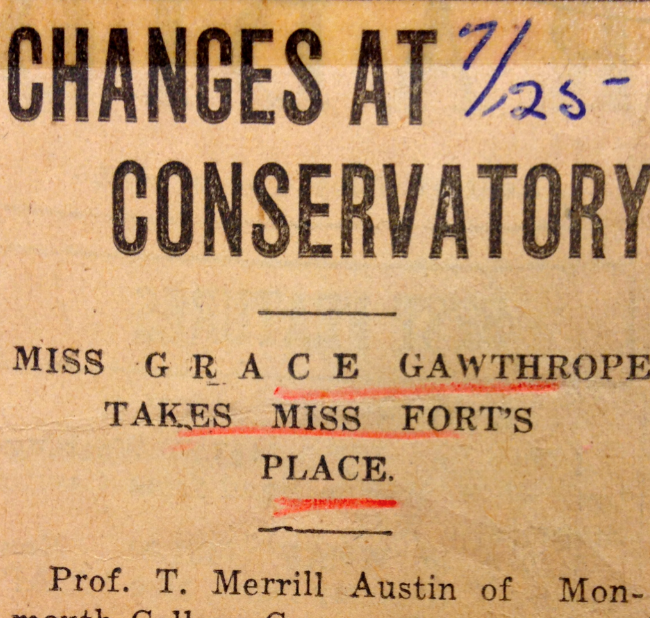 Although she taught piano lessons immediately following her graduation from Monmouth College in 1922, it was announced in the summer of 1925 that Gracie Peterson (nee Gawthrope) would replace Miss Evelyn Fort at the Monmouth College conservatory. In her new position at the college, Peterson taught alongside her former teacher, Edna Riggs, with whom she also performed in faculty recitals. Over her nearly fifty-year career at the college, Peterson directed over one hundred student productions, ranging from holiday and commencement programs, to recitals, musicals and plays. 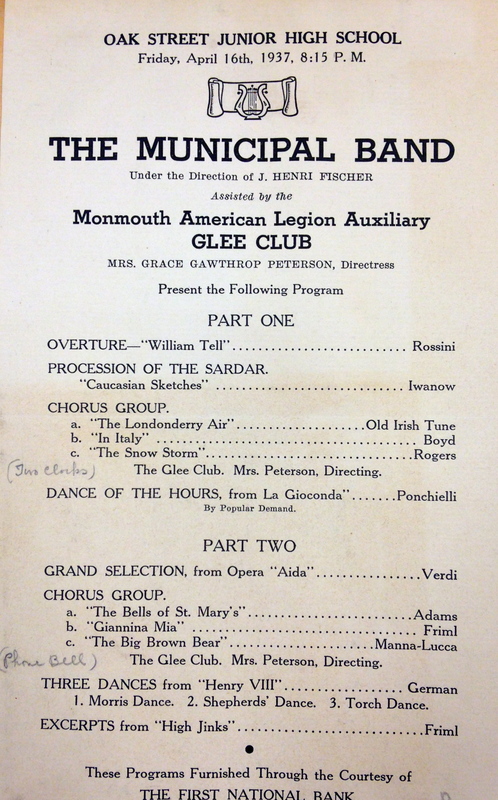 A flyer advertising Peterson's 1937 show featuring the Municipal Band and the Monmouth American Legion Auxiliary Glee Club, the latter of which she was the director for. A promotional flyer for Peterson's Monmouth College production of "Up 'n' Atom." 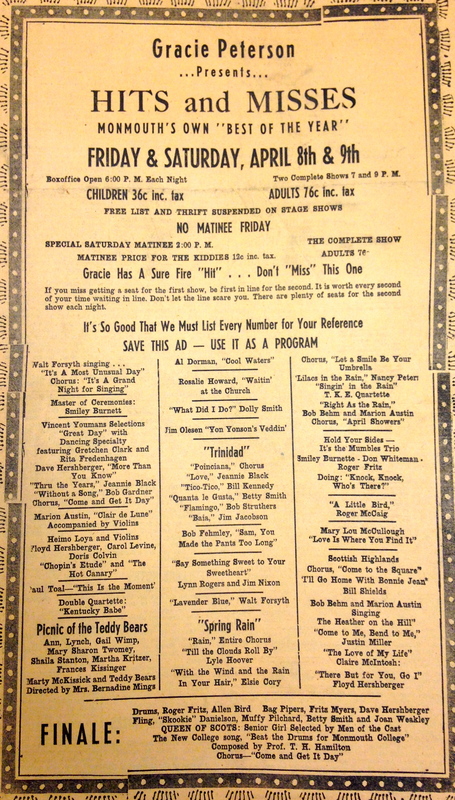 An advertisement for "Hits and Misses," a classic Gracie Peterson presentation. 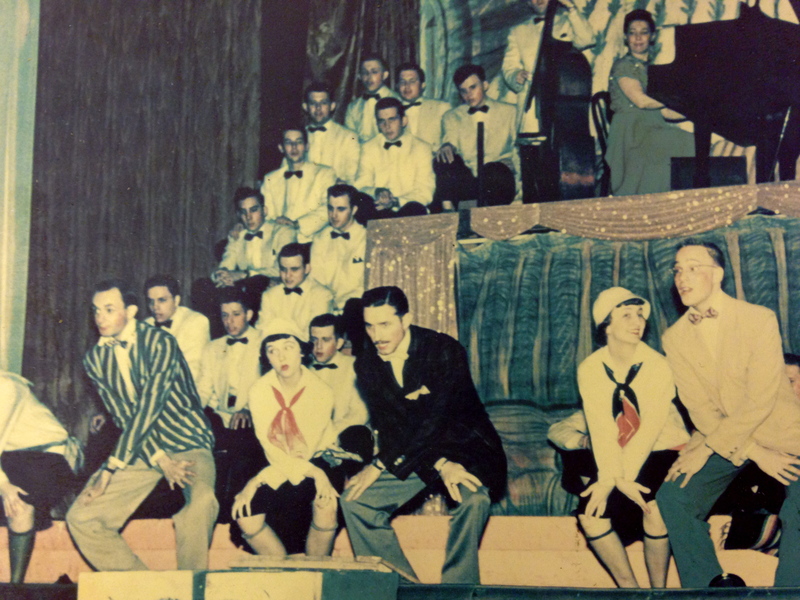 A picture from a 1953 show of Peterson's, just one of many from her nearly fifty year career. 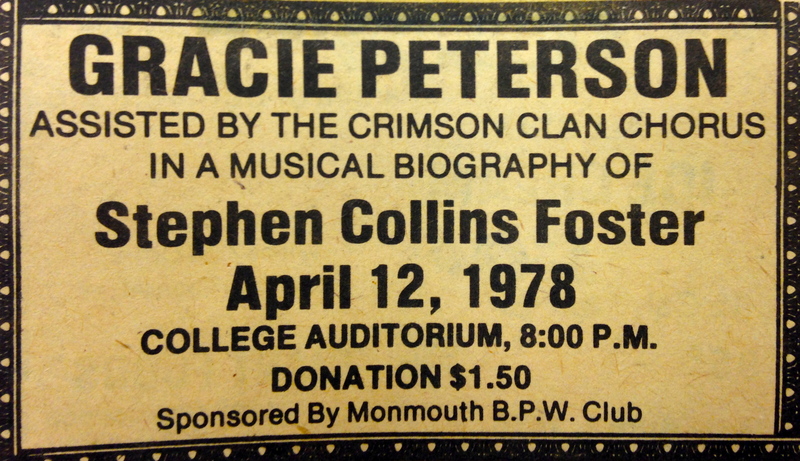 A flyer detailing one of Peterson's later shows, a Musical Biography of Stephen Collins Foster, in which she was assisted by the Crimson Clan Chorus.